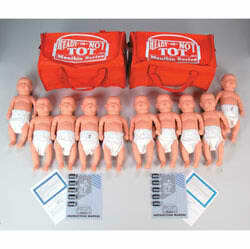 Finally, a crying parenting manikin to teach teen pregnancy prevention for under $100!. 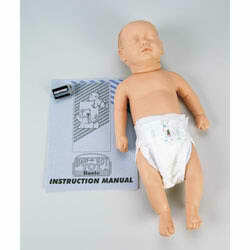 The original manikin that simulates a baby's varying needs! 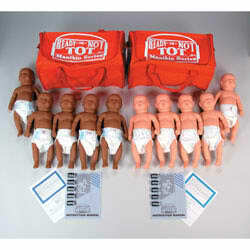 Take the glamour out of teen pregnancy and demonstrate the realities of the real world to your students. 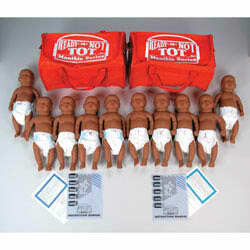 Newborn-size dolls represents a baby of a teen mom - 5 lbs. 8 oz., 20" long. 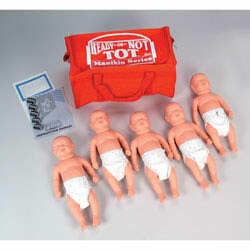 NASCO's Ready-or-Not Tots® provide the most for your money. They require the student/parent to give multiple types of care with easy recording for the student and quick evaluation and grading for the teacher. 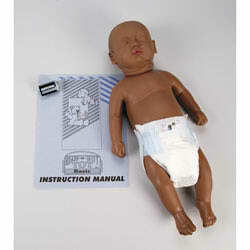 You will never have to worry if students neglected the manikin. 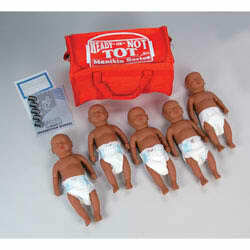 Ready-or-Not Tot® uses set programs so the teacher always knows when the manikin requires care. 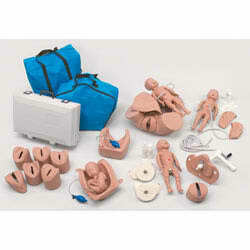 Student response to the manikin's needs are easily checked using the template provided. Includes a reproducible parental consent form/permission slip, reproducible student response sheet, diaper, 9V battery, and instruction.